When lifting a pot to plant out today, I found this Glass Snail. There are four British species, and I think this is Oxychilus draparnaudi, given its relatively large size (a mighty 15 mm). Glass snails are named after their shiny, fragile and translucent shells when alive. After weathering the shells rapidly lose their lustre. Oxychilus shells are rather flat, which makes it easier for them to hide under pots or stones. 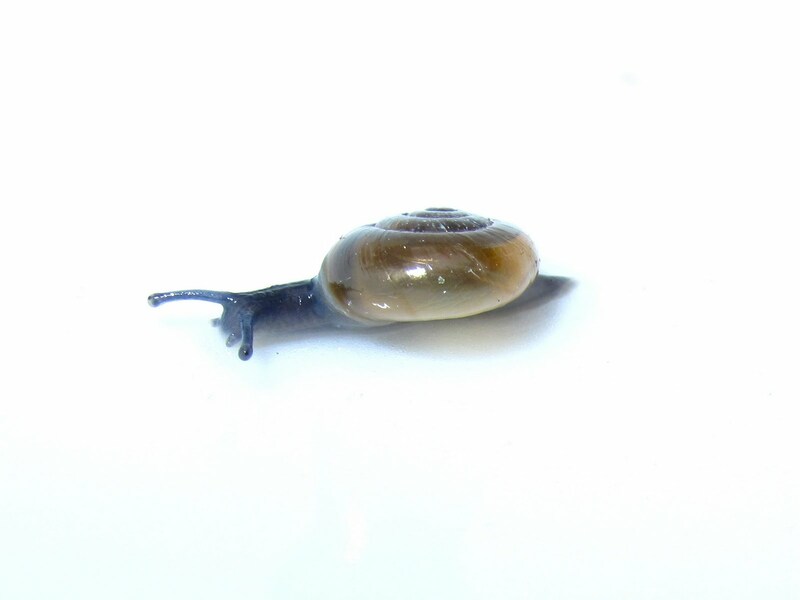 Given their small size - and their association with pots, nurseries and greenhouses - it is not surprising that several European Glass Snail species have been inadvertently introduced in temperate or subtropical regions around the world, including New Zealand, Australia and the U.S. and Canada. What perhaps is unexpected is that many Glass Snails, including O. draparnaudi are predators and their diet include other snails and slugs and their eggs, in addition to worms, and dead insects. They have even been reported to eat Garden Snails. When predating on snails, they attack the snail's body first with their radula and when they cannot access more flesh from the outside, they drill a hole on the shell to finish off their meal. 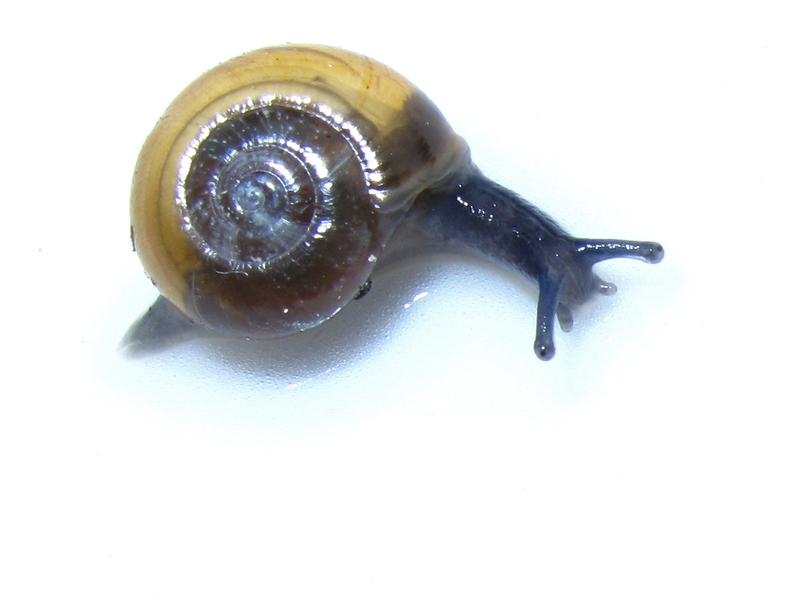 The introduced populations, however, can be a threat for the native snail fauna and reductions or losses of local snail populations have been reported in areas with these predatory snails when compared with patches where they were absent in the U.S and New Zealand. Barker, G.M. (2004). Natural enemies of terrestrial molluscs. CABI. DOI: 10.1079/9780851993195.0279. Here. Karin Mahlfeld, Karin. Impact of introduced gastropods on molluscan communities, northern North Island. here.